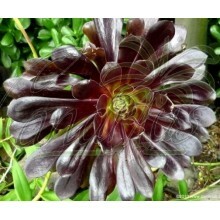 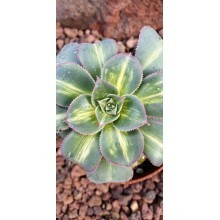 NEW!Wide rosette of dark green leaves that are very dark underneath. 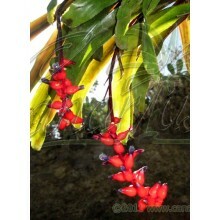 The upright inflorescence reaches about 50 cm in height and lasts for months. 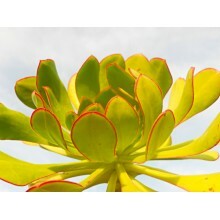 It is chiefly red, with some yellow scattered here and there. 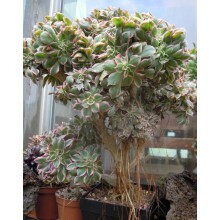 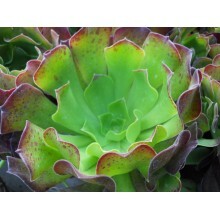 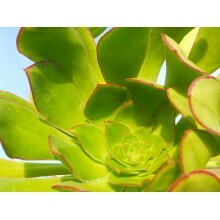 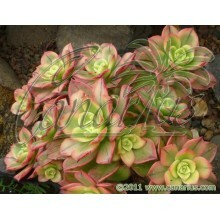 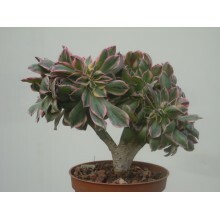 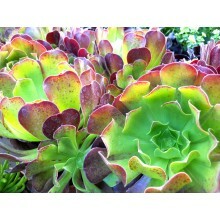 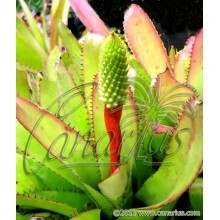 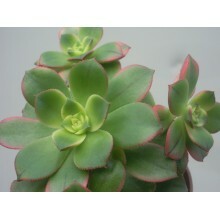 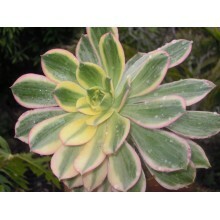 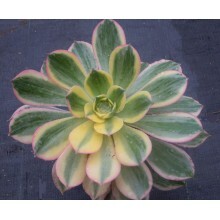 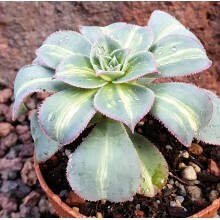 Perfect hybrid with a graceful rosette of deep green leaves, bright red bracts and yellow flowerse. 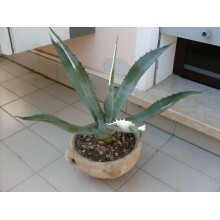 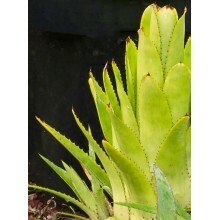 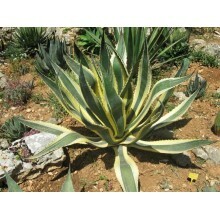 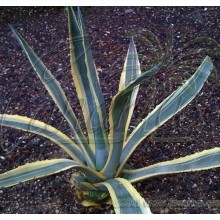 The inflorecence lasts for months in perfect conditions, while the flowers turn from yellow to white. 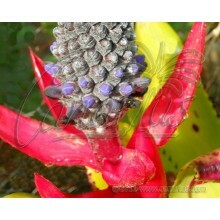 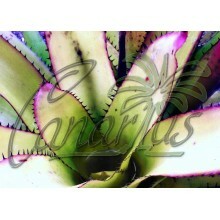 This hybrid of sensational beauty has some blood of Aechmea fasciata. 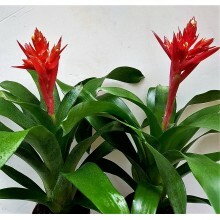 Bold red flowers are held by leaves of a very deep dark green. 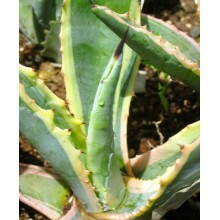 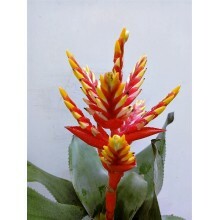 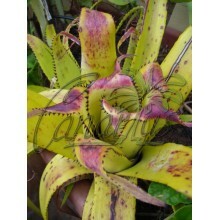 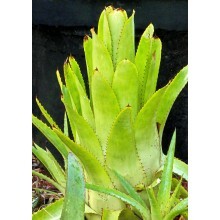 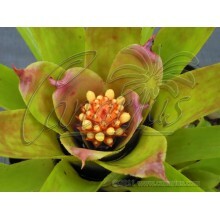 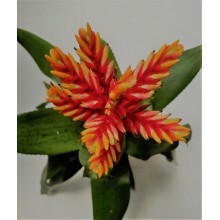 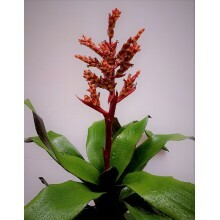 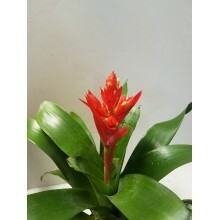 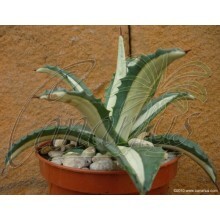 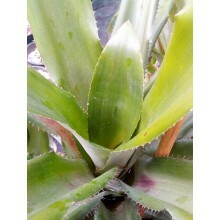 It is distributed from holland by Meewisse and the full name is Aechmea 'Rozanne Elegant Red'. 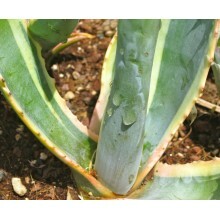 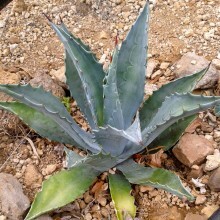 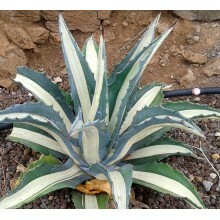 Many people consider this 'Ingens Picta' one more form of the variable Agave americana 'Marginata', but our plants typically show the unusual inner stripes and some pink hues on the white parts.